This week, South Thanet Labour Party organised a mass campaign at schools across the constituency. Activists handed leaflets to parents at school gates, highlighting the devastating impact of cuts to education budgets. As just one example, at Royal Harbour Academy in Ramsgate, every child is losing £423 per year. That adds up to a lot of learning materials. Our parliamentary candidate, Rebecca Gordon-Nesbitt, joined the campaign at several of the 20 schools we visited. 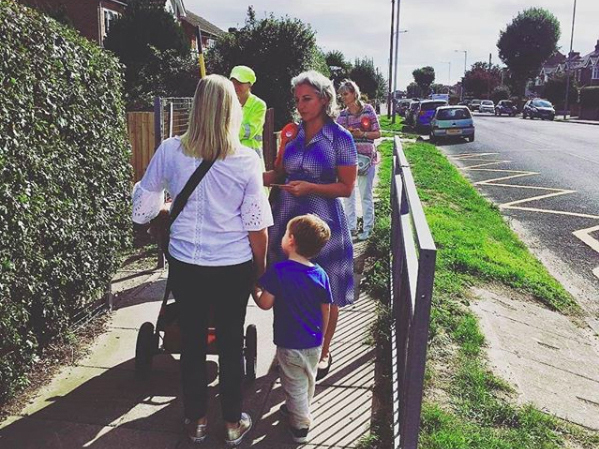 Parents, grandparents and even great-grandparents were pleased to discuss the changes they’ve noticed in schools and the impact of cuts in the rest of their lives from jobs to housing. At Sandwich Junior School – which recently had its OFSTED rating improved from ‘good’ to ‘outstanding’ – parents told us that the main impact of the cuts has been increased class sizes and pressure on the excellent teachers. A Labour Government will reverse the Conservatives’ cuts and make sure all schools have the resources they need. Labour will create a new National Education Service, providing free, high-quality education for all ages. Find out more here.